Salt is a necessity for maintaining a healthy body. The pink-hued Himalayan salt crystals contain 84 different minerals as well as some trace elements that are activated upon dissolving the salt in water. Because of these minerals, Himalayan salt is used in many different spa products. 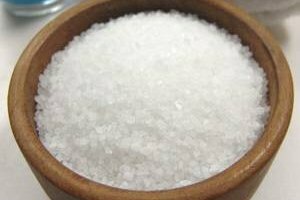 Some recommend scooping tablespoons of the salt into a bathtub for a soothing soak that will detoxify the skin and balance its pH. Himalayan salt may be used as a facial cleanser, too. Using a facial scrub containing the salt or washing the face with a brine — salt dissolved in purified water — can soften the skin and draw out toxins. Although many people claim that Himalayan salt has numerous benefits, everyone reacts to skin care products differently. Himalayan salt may not be as drying as common table salt, but using the brine may exacerbate the features of dry skin. A brine with a high concentration of salt may have different effects on your skin. Himalayan salt is usually found in facial scrubs, which may not be ideal if you have sensitive skin. Himalayan salt is a bit of a pricey option for a skin care product. Other products on the market or natural cleanser recipes can also soften and cleanse your skin. As with any facial product, some people might have negative reactions if they apply too much salt on the skin. Facial skin is typically more sensitive than the skin on the rest of your body. If you want to try it out, use small concentrations of salt. Don't purchase the largest package of salt until you've experienced its benefits.